Halloween is once again upon us, so here are a few spooky stories from the archives to get you in the spirit! The exact dates are fuzzy, but Bill Hesterman, Jr. and his younger brother Dave remember their first trip to Saltair like it was yesterday. Or Saltair’s ghost, at least. The historic resort had been deserted for nearly a decade. The locked gate at the trestle’s entrance was a half hearted formality. The Utah State Parks Commission, to which the resort had been donated in 1959, had neither the resources to maintain the iconic pavilion nor an interest in restricting access to it. 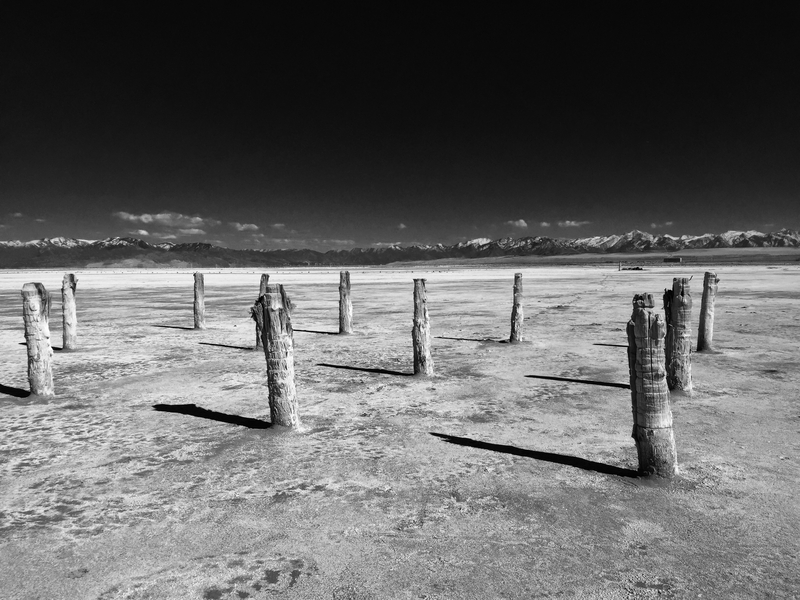 Saltair hosted throngs of recreationists and big-name musical acts for nearly 60 years before it succumbed to the elements, extraordinary operating costs, and an ever-receding shoreline. Now the dilapidated Moorish edifice appealed only to urban explorers and tourists who pined for its glory days. It was those glory days that brought the Hestermans to Saltair that day. Bill and Dave sat in the back seat. Riding shotgun was The Beach Boys founding member Al Jardine, who was in town with his band mates to play a concert at Lagoon later that evening. Jardine was stoked to explore Saltair. Bill and Dave were stoked to be hanging out with their rock idol. Hesterman shifted into 4-wheel-drive, hopped the railroad tracks and cruised the alkaline mile out to the ghost resort. Even casual Beach Boys fans know the band’s connection to Utah runs deep. It’s well known that the band’s 1964 hit “Fun, Fun, Fun” was inspired by Salt Lake City teenager Shirley Johnson England, daughter of KNAK radio station owner Howard Johnson, who took her father’s Ford Thunderbird and naughtily cruised State Street. And of course there’s the 1965 song, “Salt Lake City.” The Beach Boys played Lagoon seven times during their formative years are set to headline BYU’s Stadium of Fire Independence Day celebration next month. So what brought The Beach Boys to Utah in the first place? How did little ol’ SLC become The Beach Boys second home? It all started in the early 60’s when Hesterman, then a DJ and general manager of KNAK Radio, played a rough Beach Boys demo tape on the air. “Daddy-O,” as Hesterman was known on-air, was likely the first disc jockey to play a Beach Boys record on radio outside of California. And Utah listeners were smitten. As the fledgling band’s sunny lyrics and rich harmonies began to define the surf rock genre, Hesterman promoted them heavily. 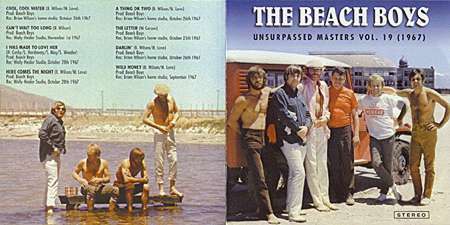 He arranged several Beach Boys concerts at Lagoon and later toured with the band in Europe. “It was a magical time. It was like being in a time warp (I think). It felt like we were back in the 1940s and ’50s doing these big ballroom dances, which were so popular in that era. Hesterman was actually a Mormon Bishop at the time, but I think we can cut Jardine some slack. He became good friends with band and their manager, Murry Wilson (also the father of band members Brian, Dennis, and Carl). When the Hesterman family traveled to California, they visited the Wilsons. When the band was in Salt Lake, they hung out with the Hestermans. While the tune “Salt Lake City” was a public tribute to their Utah fans, it was written in Hesterman’s honor. And although “Barbara Ann” wasn’t written by The Beach Boys, they often dedicated SLC performances of it to Hesterman’s wife, Barbara. The Hesterman children were given tour jackets and backstage passes to Beach Boys concerts, and were sometimes introduced by their father on stage. Bill, Dave, and their younger brother Mark grew especially close to Al Jardine. Bill “Daddy-O” Hesterman remained close friend of the band until he passed away in 1996, and his sons still keep in touch. 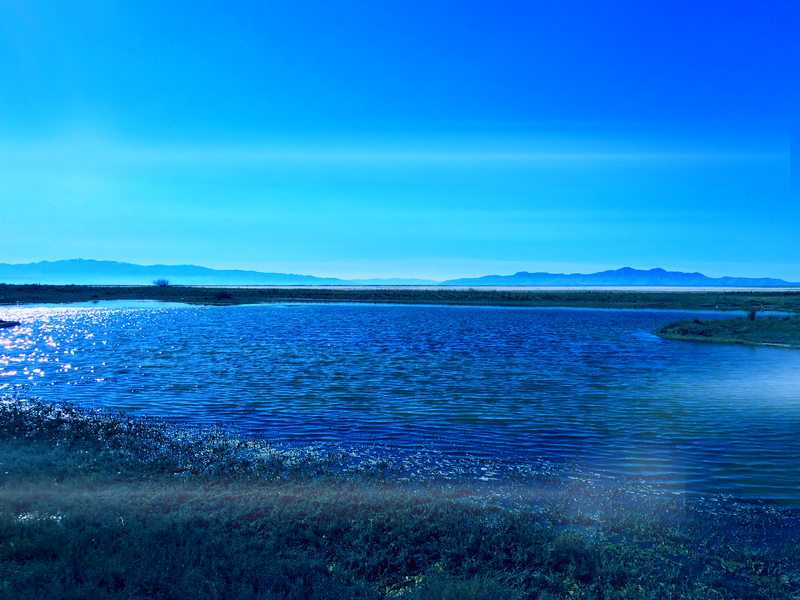 But back to that Saturday at Saltair. According to Dave, the outing had been Jardine’s idea. 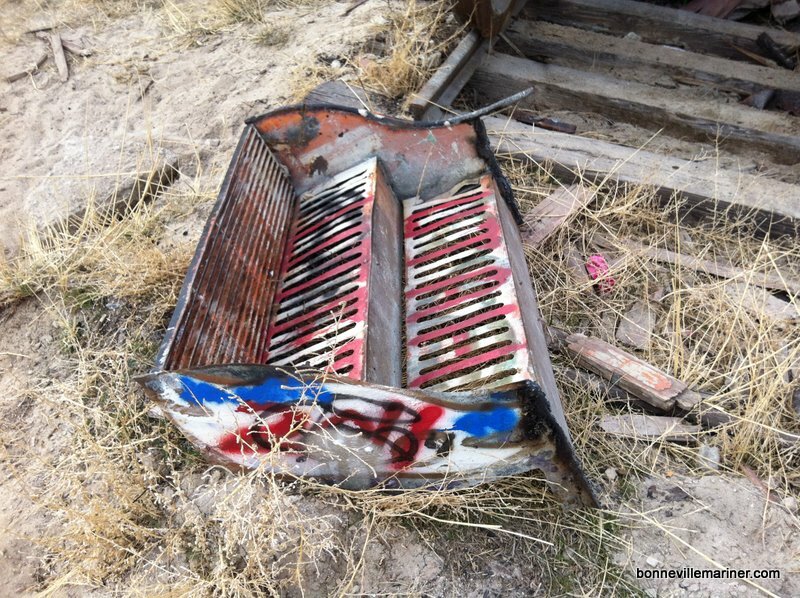 He had heard about the resort growing up and was intrigued by its musical heritage. With the Lagoon concert several hours off, Jardine saw an opportunity. They’d have plenty of time to tour the old pavilion before join up with the other Beach Boys for the concert. They spent two hours wandering the pavilion and exploring underneath. They climbed the grand staircases. They walked to the middle of the dance floor, which for decades was the largest unobstructed dance hall in the United States. They stood there for a while, just to take it in. This was the place where generations of Utahns danced, fell in love, and thrilled to the music of the Mills Brothers, Phil Harris, and Nat King Cole. “You felt like the ghosts of the bands were in the background,” Bill Jr. recalled. Though it was certainly run down, Bill Jr. said the old pavilion’s infrastructure seemed plenty solid—perhaps fully restorable with proper funding. 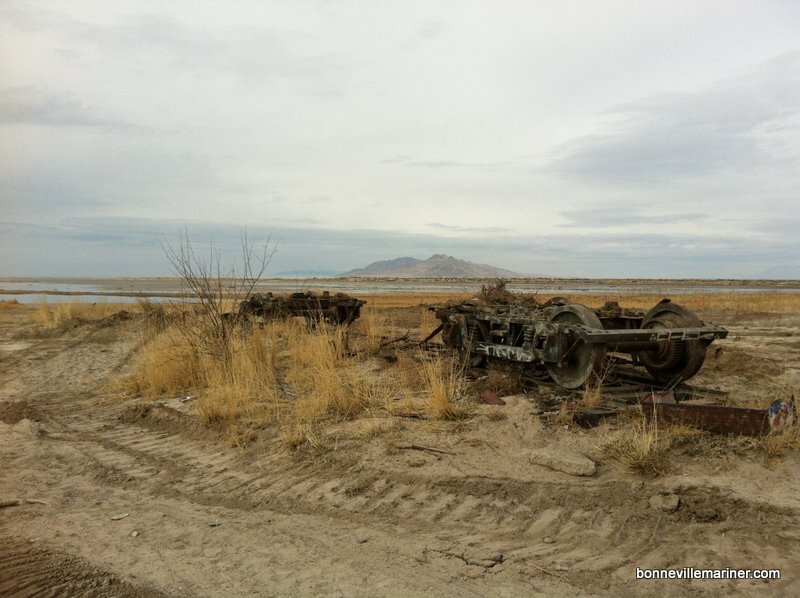 Leaving Saltair proved difficult when the Cruiser high centered on the railroad tracks. “We were stuck out there in no-man’s-land,” Dave laughed. They finally freed the cruiser and sped to Lagoon, arriving late to an anxious crowd. 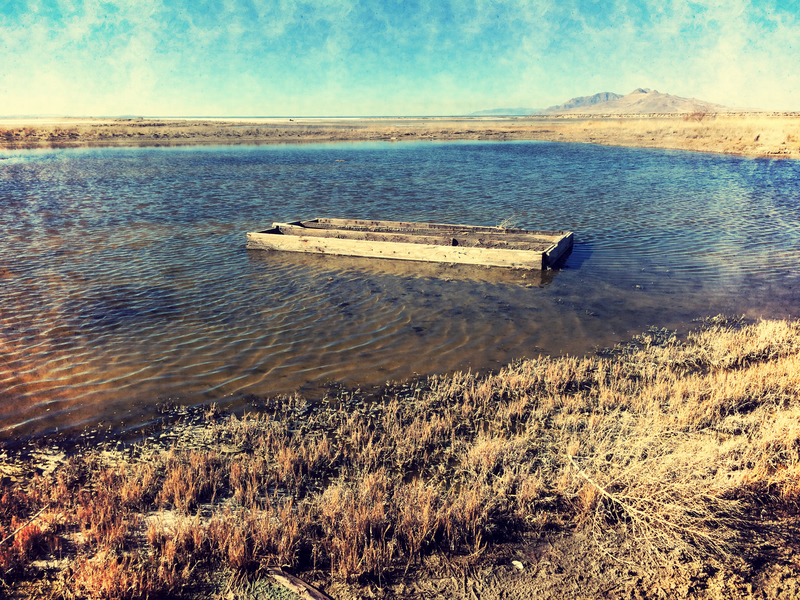 With no time to clean up, Jardine joined his band mates on stage covered in Great Salt Lake mud. By all accounts, the concert was great. 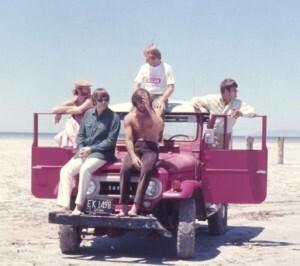 When Jardine told the other Beach Boys about Saltair, their interest was piqued. It was decided (with a measure of reluctance from Bishop Hesterman) that they would all return to Saltair on Sunday for a photo shoot before leaving town on Monday. On Sunday afternoon Hesterman, the band, and a photographer loaded into the Cruiser and drove west (Bill Jr. and Dave didn’t make the trip; Hesterman insisted they stay home and attend church services). As reported in last week, the photos taken that day were featured on a European repackage of Today! and a later Sea of Tunes bootleg release. The guy in the middle of the cover shot? Yep, that’s Bill “Daddy-O” Hesterman. Okay, so his names are off (the Salt Palace is a convention center in downtown SLC and I’m not sure what he’s referring to with the “Salted Sea”), but it has been about 44 years. His comparison of Saltair to Lagoon is interesting since the two resorts were fierce competitors until the former’s demise. 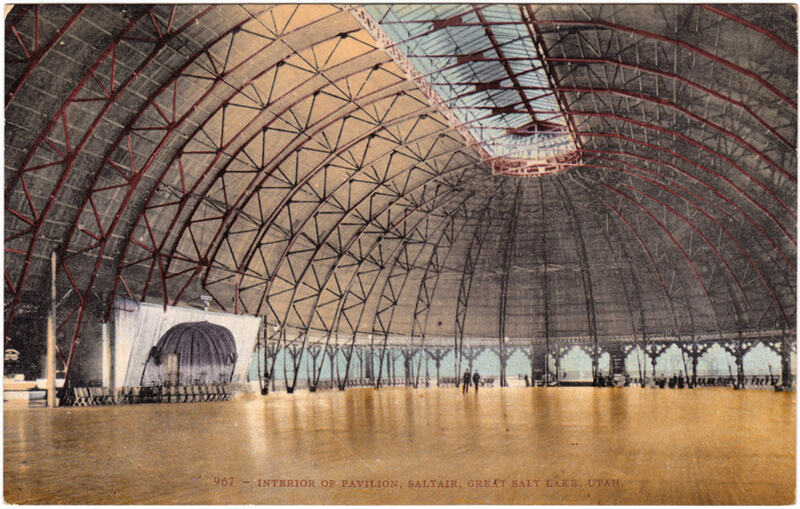 Lagoon had solid local appeal, but Saltair was a nationwide destination and was frequently dubbed the “Coney Island of the West.” The pavilion’s ornate Moorish design and location nearly a mile offshore gave it grand, almost ethereal presence. This setting, combined with the popularity of saltwater swimming and the resort’s massive dance hall, made Saltair THE concert destination. Had The Beach Boys been around even a decade earlier, they would have certainly played Saltair. But their rise in prominence coincided with the end of the Saltair era and the beginning of Lagoon’s heyday. Lagoon, as Jardine aptly points out, was the Beach Boys’ Saltair. How appropriate that they, thanks to Bill “Daddy-O” Hesterman, were able to visit both over the same weekend! 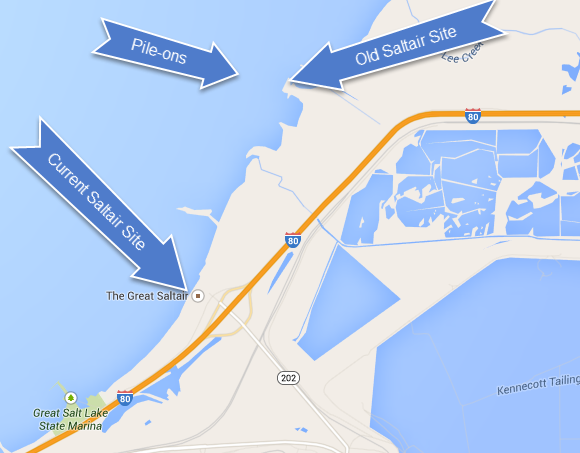 Click here for my previous stories about Saltair. 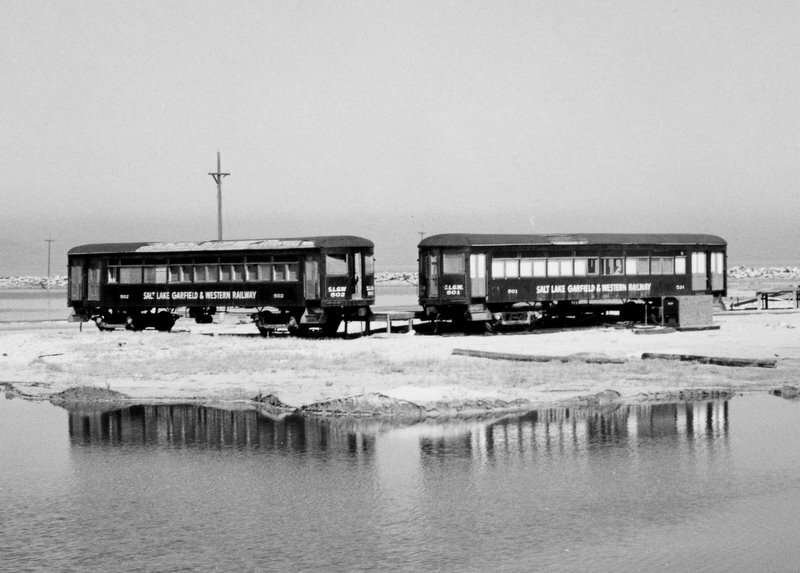 To anybody who regularly drives the stretch of Interstate 80 between Magna and Lake Point, the “Saltair Train” was a familiar site. 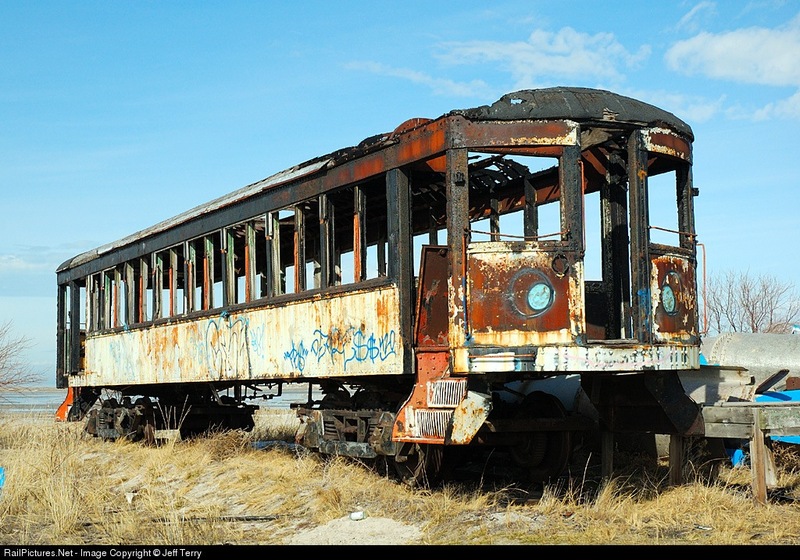 Like the cinder block shell of the substation she stood near, the old passenger coach was badly blighted and covered with graffiti. 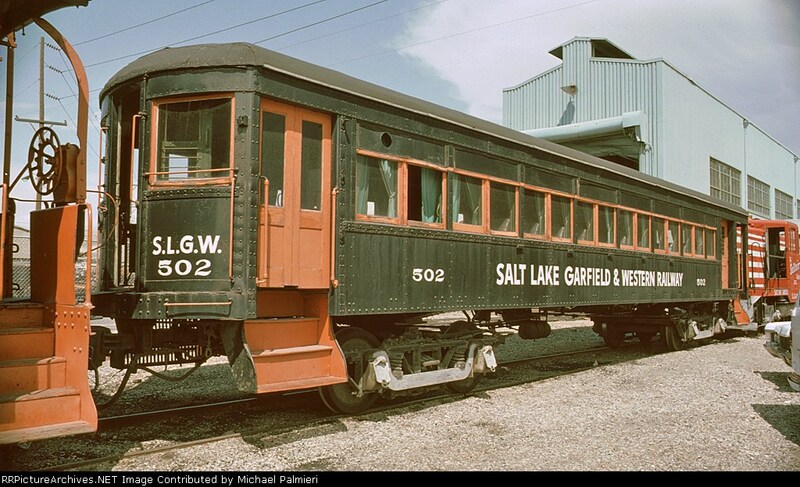 But Salt Lake Garfield & Western Railroad Car 502 was more than just a popular tag site or a hipster backdrop for bridal photographers– it was the last vestige of the original Saltair resort. Yes, the original Saltair. There have been 3. The first, a grand resort pavilion, was built in 1893 and destroyed by fire in 1925. 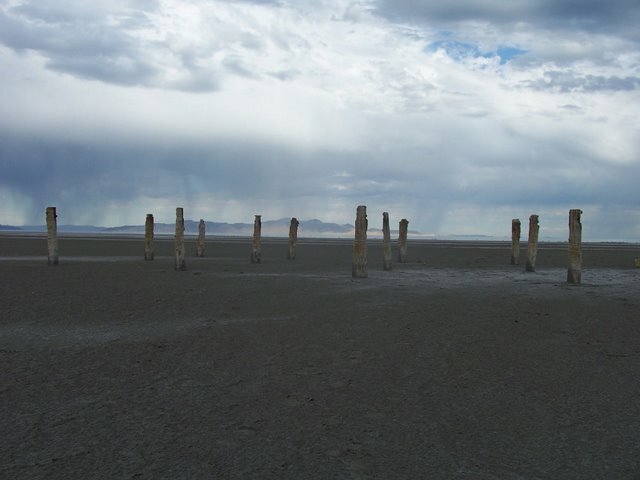 “Saltair II” was built roughly to the same scale and on the same site– at the end of mile-long long trestle, about 2 miles east of the current pavilion (Saltair III) at the freeway exit. Saltair II itself was destroyed by fire in 1971. When your grandmother reminisces about dancing the night away at Saltair, she’s talking about its second incarnation. And she probably remembers riding to it on a train– quite possibly 502. Some cars on the Salt Lake Garfield & Western line were open-air. 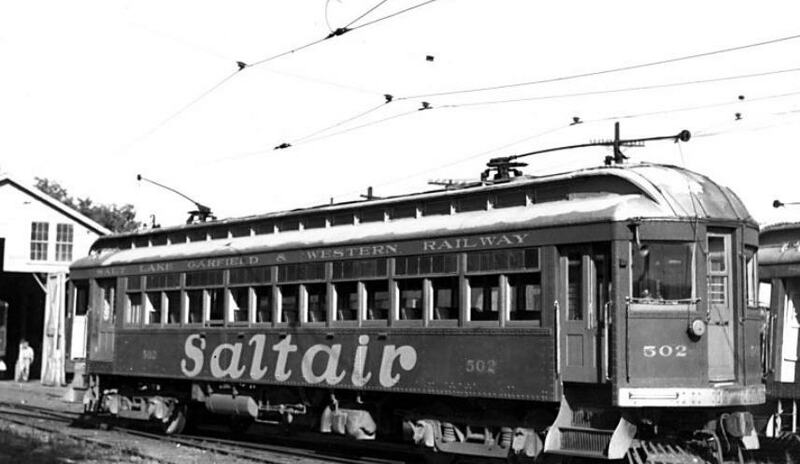 502 was a closed coach, and it carried happy passengers back and forth to Saltair for at least 30 years. 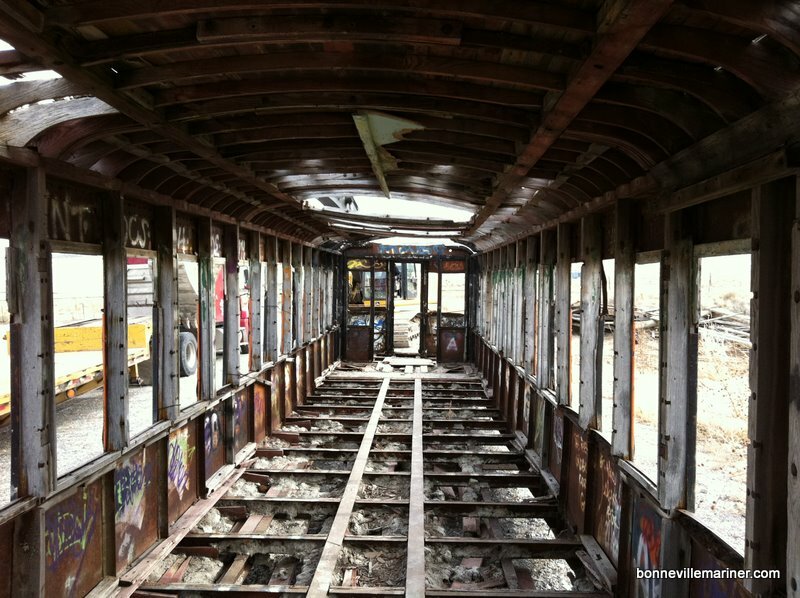 Saturday afternoon I was the last person to climb aboard the old rail car. My visit wasn’t planned; I spotted the cranes on a flight into Salt Lake International Airport and quickly drove to the site. A few moments later it was hoisted onto a semi truck bound for a Grantsville salvage yard, where it will be dismantled for scrap metal today. It’s a sad end for this storied relic. 502 was one of six “steel passenger motor cars” built by McGuire-Cunmings Manufacturing Co. in 1918 and shipped to Salt Lake City the following year. Cars 501 and 502 were rebuilt in 1950 as trailer cars and were given flat arch roofs. The other cars were scrapped in 1953. 501 was displayed at the new Saltair pavilion (the one at the exit) in the 1980’s, and was scrapped in 2006. 502 was stored near the power substation at the old site. It remained in decent shape well into the 1990’s, but has been the victim of severe vandalism and arson since. 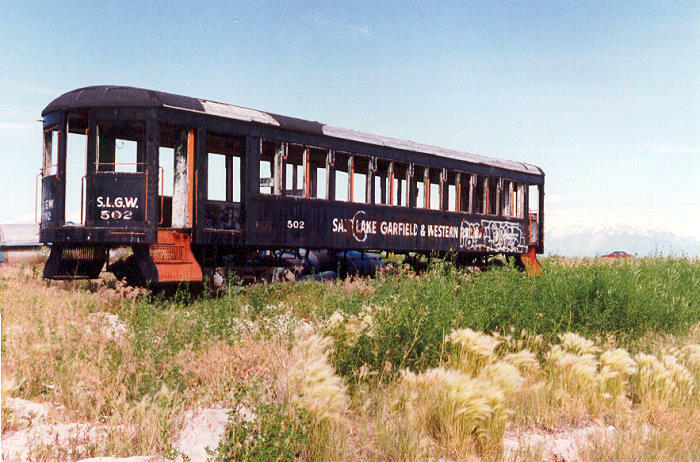 Morehouse, who also owns Saltair III, tried unsuccessfully to have car 501 preserved back in 2006. He cited the tricky logistics and prohibitive cost of moving the car as primary reasons for nobody claiming it. It might be said that the real demise of 502 came with the arson fire circa 2009. Morehouse estimated that 80% of the car’s wooden structure was destroyed in the fire, making it restoration costly and near impossible. 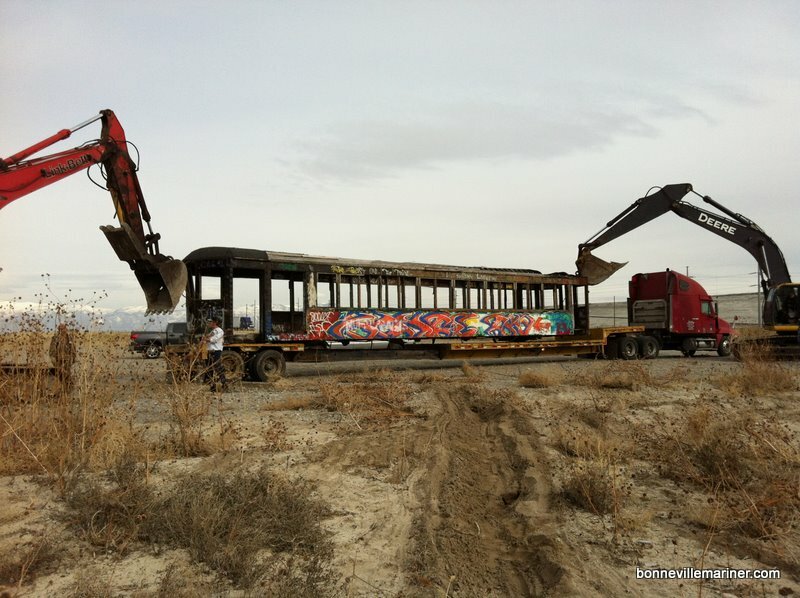 He said it was a combination of recent pressure from Salt Lake County to clean up the site and the increased legal liability with the constant stream of visitors that prompted him to sell the car to the salvage company. I’m not aware of any plans to demolish the nearby substation ruins, which lie on state lands. For the record, I also made efforts to have 502 preserved about two years ago, before the land was purchased by Morehouse. A few organizations showed interest, but none had space to store it or money to move it. 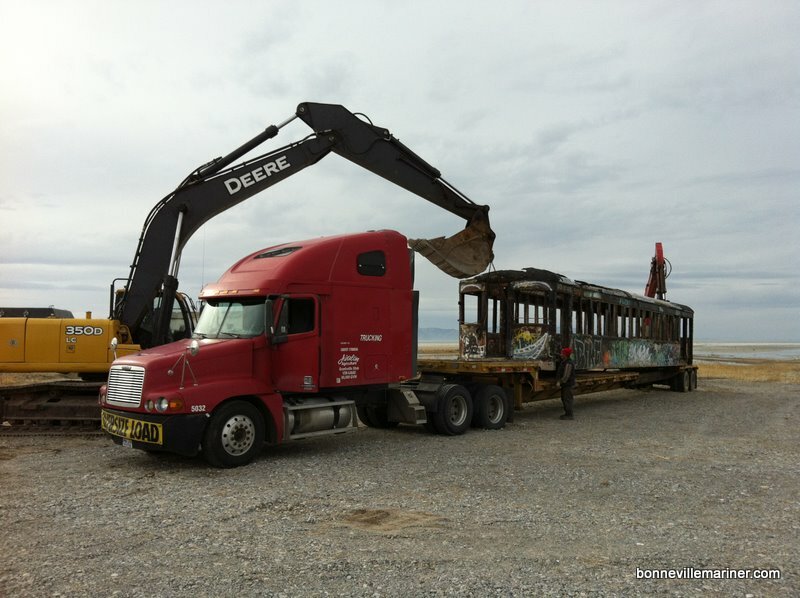 The salvage crew let me snap a few photos of 502 before the old coach made its final departure from Saltair. UPDATE: Commenter Gilbert below has created a Flickr group to aggregate images of 502. If you’ve taken photos out there, head over and add to the pool.